In a time of fear and danger, will Merlin’s magic, Lancelot’s bravery, and Arthur’s wisdom be enough to unite the kingdom and bring peace? 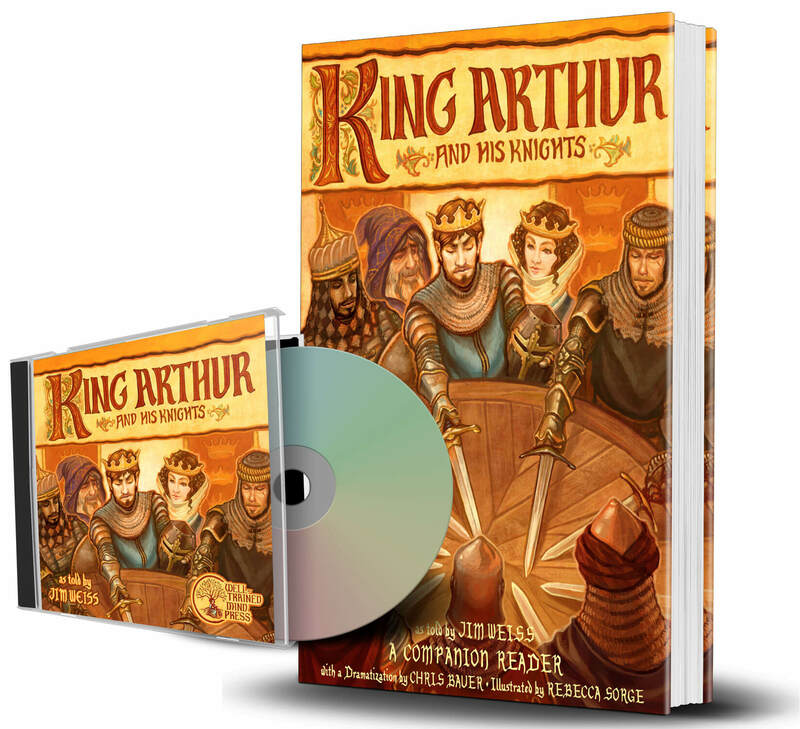 In this book and audio recording, beloved storyteller Jim Weiss brings tales of King Arthur and his Knights of the Round Table to life with action, wonder, and humor. Gorgeous paintings and whimsical medieval-style illuminated illustrations by Rebecca Sorge will fascinate and delight young readers. This beautifully illustrated Companion Reader is an exact transcript of the award-winning storytelling performance, available on MP3 and audio CD from Well-Trained Mind Press. The Reader can be enjoyed on its own, or used along with the recorded performance to build strong language skills. Listen to the Jim Weiss stories on the CD, read along in the book to improve fluency, vocabulary, and grammar, and then speak great words and sentences out loud by practicing and performing the short, accessible dramatic versions of Jim’s performances. Format: Paperback book and MP3 audiobook. What difference is there between this cd and the first king arthur cd with the old cover art – if i purchase the companion book will it be the same content? This CD has better-quality audio than the old one, and has been divided into more tracks to make navigation easier. If you purchase the book, it’ll be slightly easier to use with this edition, since the chapters start at the same places where the tracks start…but the content is the same, so you can definitely still use the book with the old edition of the CD!